Has been experimenting with a variety of creative disciplines such as sculpting 3d visual prototyping and graphic design mixed with photography for print production. He is now combining al this knowledge to work on a new project involving the use of the highest quality of materials, Airplane parts! 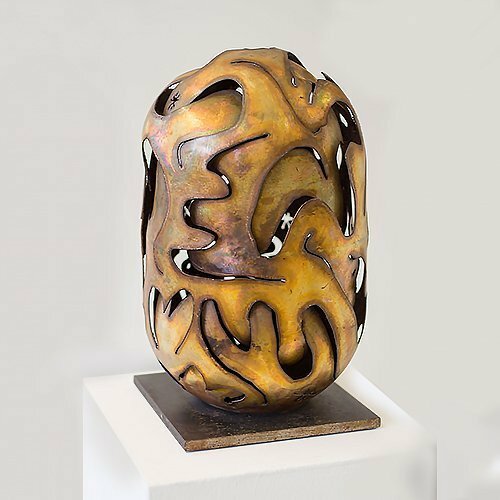 This three dimensional object came to its final shape by application of my abstract shape language to its surface. The lines were cut without drawing them first, so they had to be carefully placed to make sure there was no material falling off. This means its cut out of one peace before bending it. Its a one of a kind object with a unique line pattern. This Artwork is an ode to the Industrial landscapes as seen in old sci fi movies. 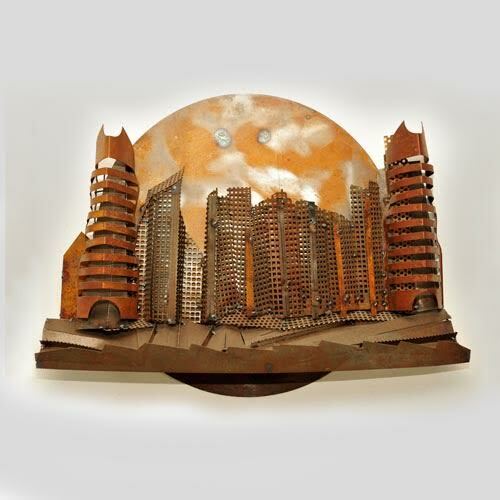 The style is raw and the medium is rusty metal found scrap parts and industrial tools like band saw blades. All mixed together to create this one of a kind object. The weight of this object is 3.5 kg and its meant to be hung. 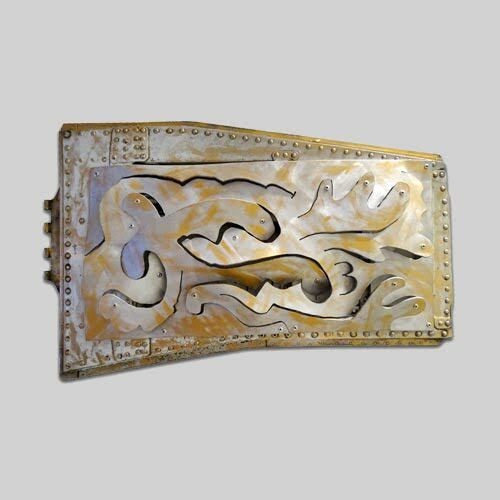 This work is a crossmix of my personal abstract style applied on a genuine Fokker Airplane wing part of the F27 Friendship. Reshaping and redesigning old parts and giving new shape and spirit to Dutch heritage materials. Inspiration comes from the rich history of the Aviation spirit Engineering and craftmanship to recreate the past into something new and exiting. 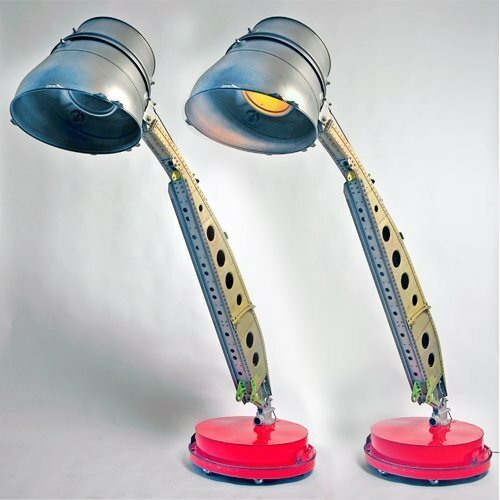 This one of a kind lamp is handmade of derelict and genuine airplane parts from world renowned brands such as Fokker, Rolls Royce and Pratt and Whitney. The base is made of a so called ‘Centercap’ a maintenance tool to close down a Rolls Royce turboprop engine inlet. The base element is loaded with concrete weight.